Uncommon Cacao sources quality cacao from producers we trust. We build authentic, long-term relationships across the supply chain to create stability and success for all. Transparency, sustainability, and the livelihoods of farmers at origin are increasingly important to chocolate consumers and makers alike. Sharing information about prices, per-farmer production, participation of women, and other origin realities builds value for producers and creates a deeper understanding for all who rely on this supply chain for their businesses and livelihoods. We are proud to share with you our sixth annual Transparency Report report which covers our work across 6 countries at 14 different origins. Enter your email here to download our full report. 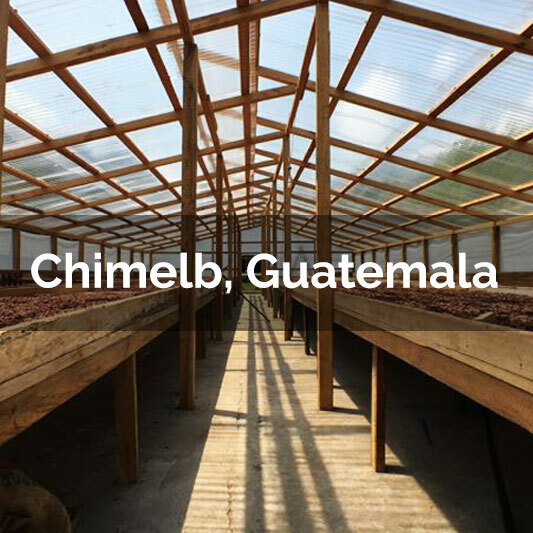 Famous for their jumbo “potato sized” beans, Cahabón cacao marries the bright fruity notes you’ll find across our Guatemalan beans with a nutty, rich, and chocolatey base. If you are looking for a well rounded bean perfect for snacking chocolate & bars, this is the cacao for you. Our in-stock beans available now in our Amsterdam warehouse. the perfect way to try out any of our beans for your next confection! *Please note sample order inventory does not reflect our main inventory. Receive news and updates about Uncommon Origins, Chocolate Week Adventures, and More! Sign up for our EU specific newsletter receive news and updates about our EU offerings and events.